The 18-hole Lakes/Valley at North Ranch Country Club in Westlake Village, CA is a private golf course that opened in 1988. Designed by Ted Robinson, Sr. , Lakes/Valley at North Ranch Country Club measures 6955 yards from the longest tees and has a slope rating of 140 and a 74. 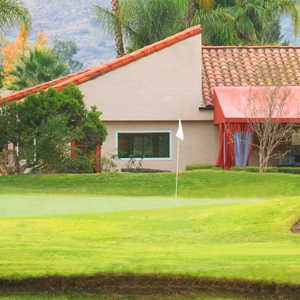 The 18-hole Oaks/Lakes at North Ranch Country Club in Westlake Village, CA is a private golf course that opened in 1988. 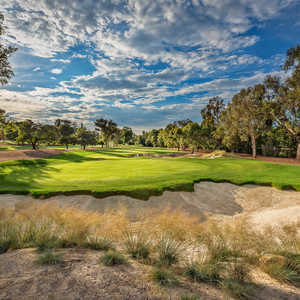 Designed by Ted Robinson, Sr. , Oaks/Lakes at North Ranch Country Club measures 6992 yards from the longest tees and has a slope rating of 139 and a 75 USGA rating. The 18-hole Sherwood Lakes Club in Westlake Village, CA is a private golf course that opened in 2006. Sherwood Lakes Club measures 1965 yards from the longest tees. The course features 3 sets of tees for different skill levels. The 18-hole Valley/Oaks at North Ranch Country Club in Westlake Village, CA is a private golf course that opened in 1976. 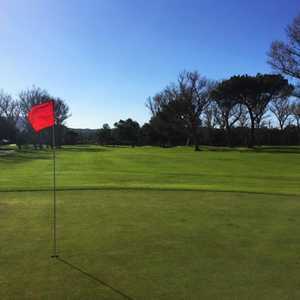 Designed by Ted Robinson, Sr. , Valley/Oaks at North Ranch Country Club measures 6753 yards from the longest tees and has a slope rating of 138 and a 73. The 18-hole Westlake Golf Course in Westlake Village, CA is a public golf course that opened in 1966. Designed by Ted Robinson, Sr. , Westlake Golf Course measures 5005 yards from the longest tees and has a slope rating of 106 and a 63.